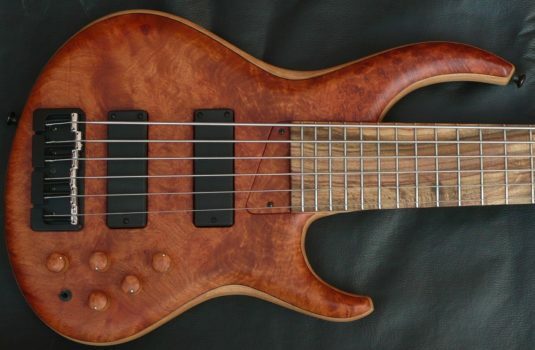 Here we have a unique and definitely high quality fretless 5, made by Manne of Italy. 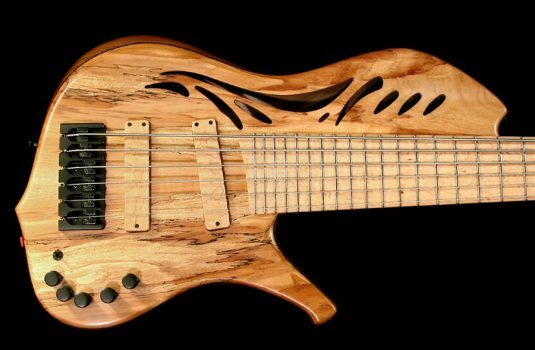 This bass features a chambered Alder body with a Spruce top. Very lightweight – less than 8lbs, and very acoustic sounding. 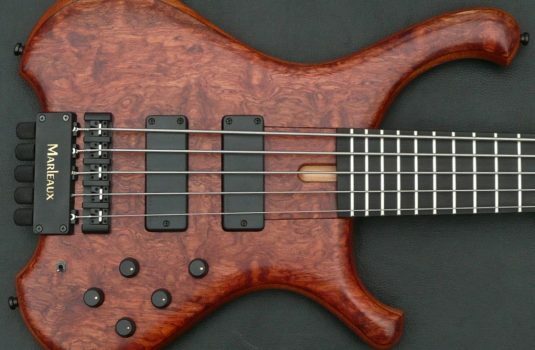 I have always loved Alder for fretless bass , and this bass takes it a step further. A single magnetic pickup and piezo bridge pickups (dig that bridge!) 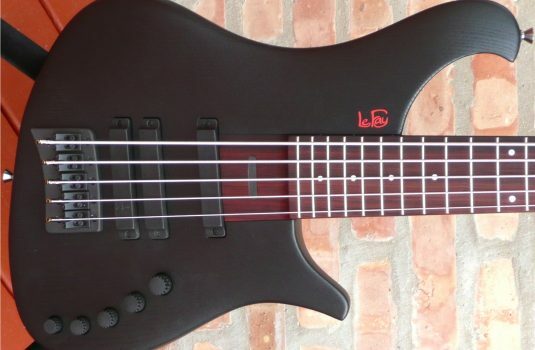 give this bass the ability to combine electric and acoustic timbres very effectively. 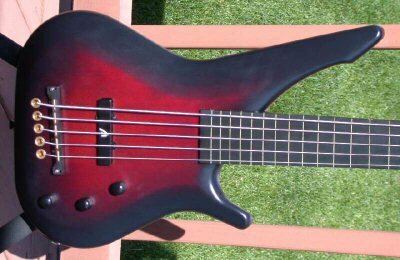 Although this bass is passive and has only a volume, blend and single tone knob , the variety of tones is amazing. 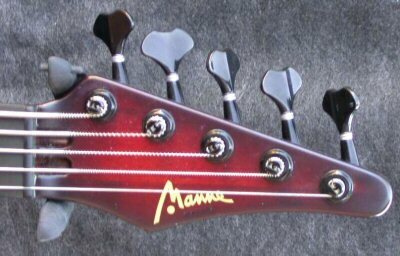 (Please refer to the Bass Player March 2004 review for more details and impressions). 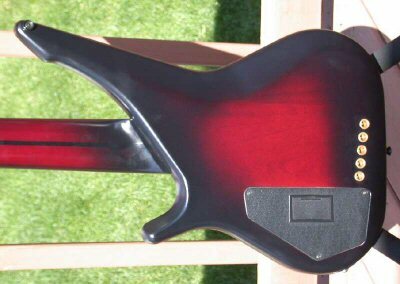 This bass is 99% mint, and comes with a hardshell case.